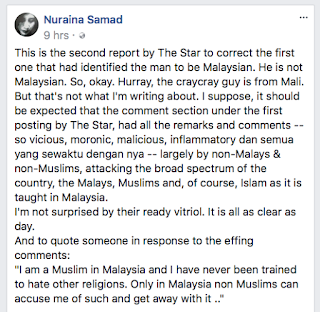 "I was misunderstood," said man who had claimed on Facebook that: "Only in Malaysia Muslims are taught to hate and claim Islam is the only true religion and no other religions must be practised ...". 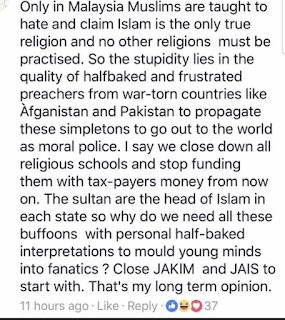 "I was merely referring to the quality of foreign preachers, like Zakir Naik, who seem to be welcomed with open arms whereas moderate and sensible ones are detained and barred from entering," he said when contacted yesterday by the mole.my h e r e.
I don't know what long-term opinion means but I wish he had given it a longer consideration before commenting on a report. 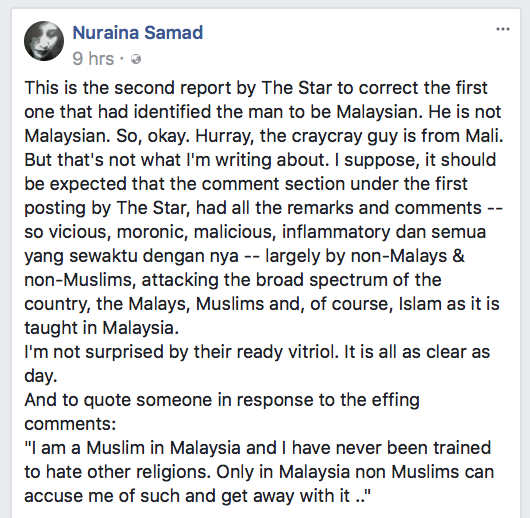 This dude later blamed it on the "error" committed by The Star and I'm not surprised. It is always someone else's fault, never their own stupidity. 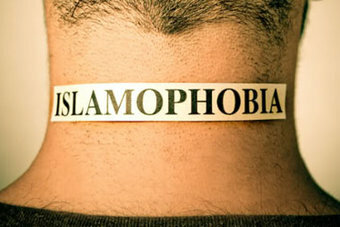 I am a Muslim in Malaysia and I have never been trained to hate other religions. 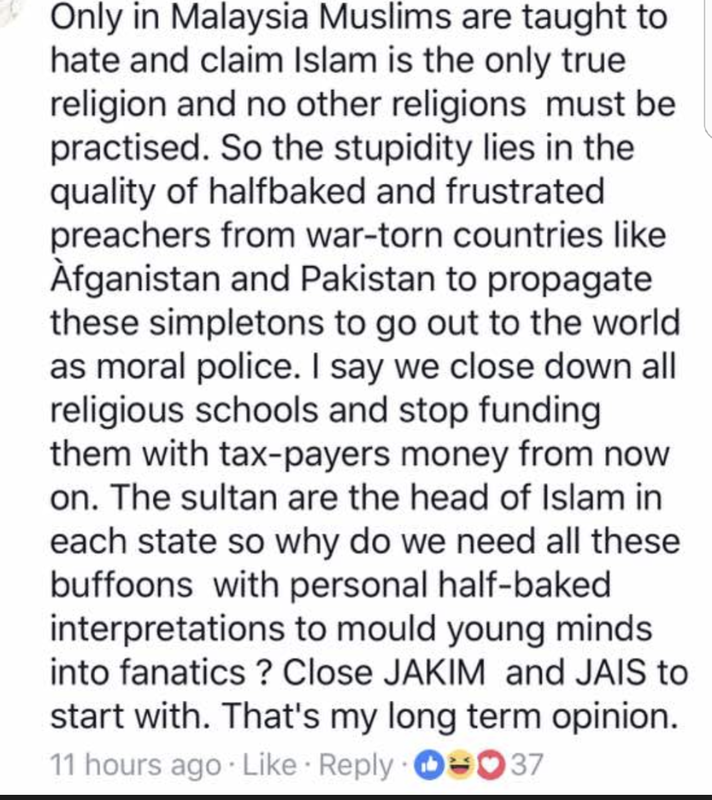 Only in Malaysia non Muslims can accuse me of such and get away with it .. I hope it sinks in. 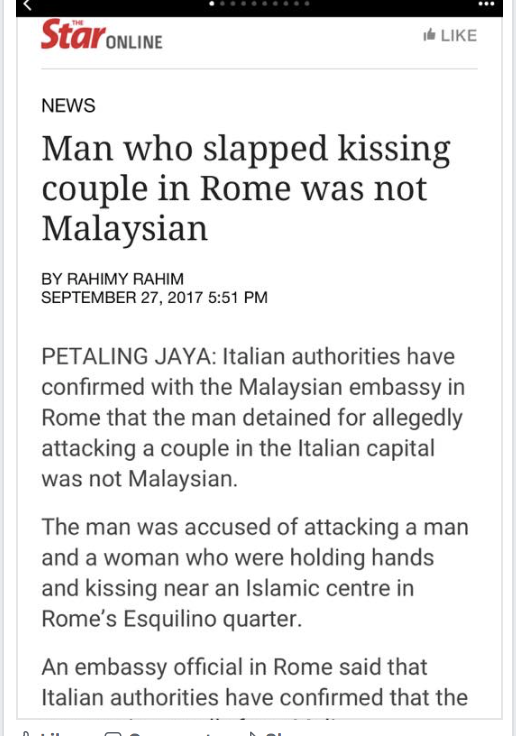 You see, even if the guy who had slapped the couple was a Malaysian, it would not be fair to put all Malaysias down. 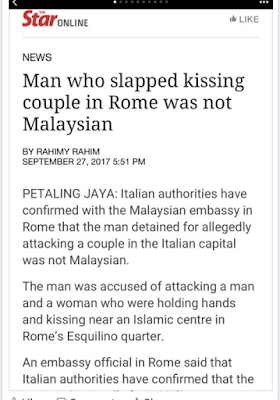 And if he was a Malaysian Muslim, he certainly was not representative of Muslims or Malaysian Muslims or Islam. At all.